Looking for a unique piece of art, local iron work, or classic Timberline souvenir? Timberline gift cards are the perfect gift and can be used at any Timberline outlet, for lift tickets or overnight stays. We’ve got you covered with our gifts shop and art gallery, and our gift shops online that are open 24 hours a day, 7 days a week. Be sure to check out The Shining and Overlook Hotel Collection! 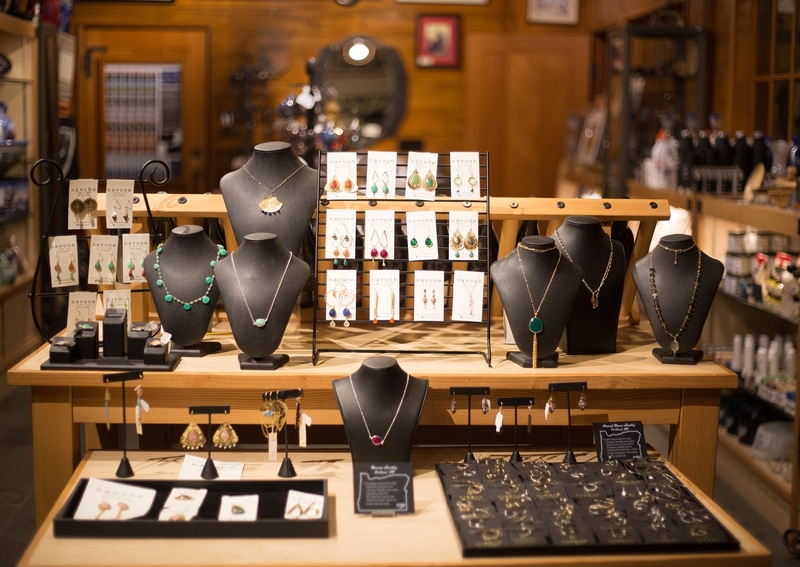 Located just down the hall from the front desk, the Timberline Gallery Gifts Shop features a great collection of locally-crafted items. Bring the perfect memory of your trip to Timberline home with you – whether it be artwork, a book or other classic Timberline design. 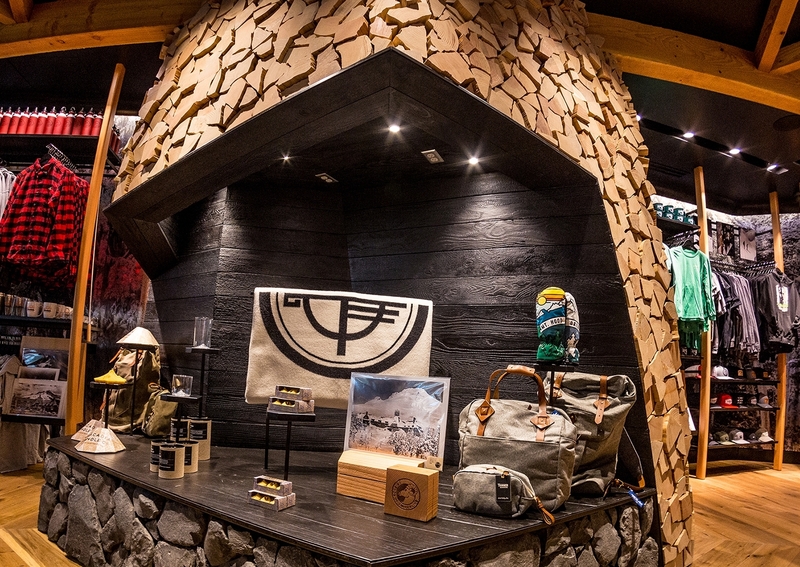 Located in the Wy’East Day Lodge, the Wy’East Store has everything you need for your next Timberline ski or snowboard adventure – including outerwear, goggles, hats, gloves, socks, and more. 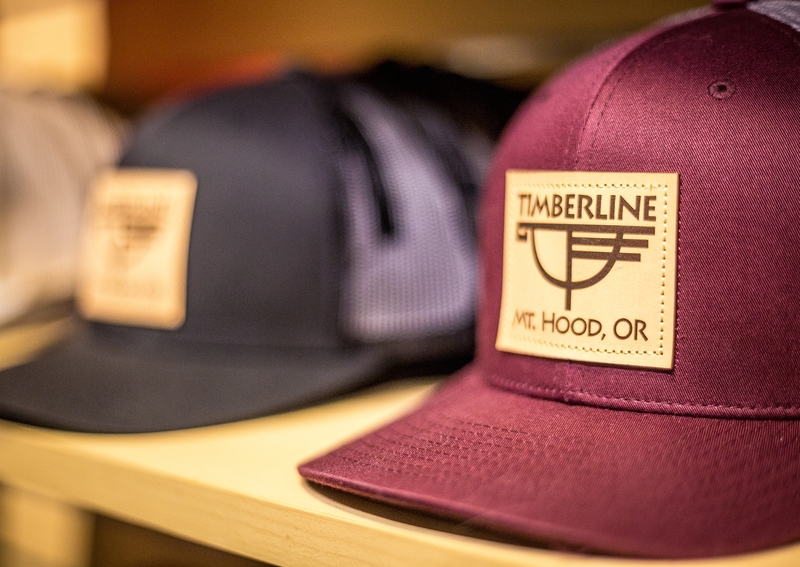 Browse through a great selection of Timberline logowear and find other great souvenirs to commemorate your trip to Mt Hood. 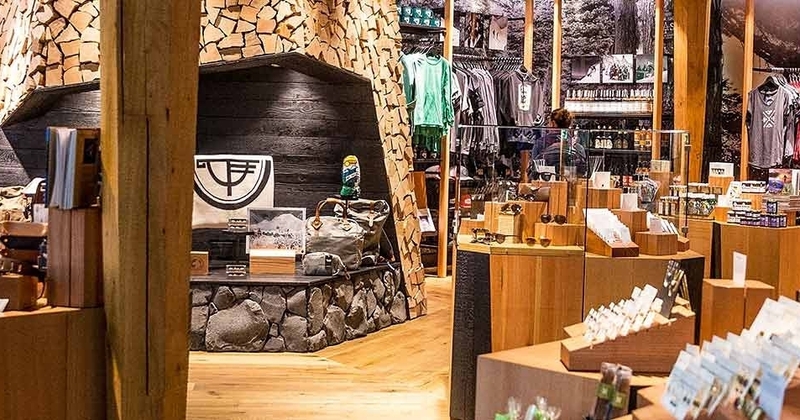 Located at Portland International Airport Concourse D, the Timberline PDX Shop features a mix of locally designed and printed apparel and jewelry, iron work, ceramics and glassware made by local craftsman. The store also offers local snacks, wine, and candies. Whatever the occasion, Timberline gift cards are a flexible way to show someone how much you appreciate them. Your gift card can be used at any of our Timberline outlets including the gift shops, restaurants or to purchase lift tickets or lodging. Let them decide! Your Gift card will be mailed via USPS Standard Mail, without tracking, to the address you provided. There is a $5 shipping and handling fee. Tracking is not available for USPS Standard Mail. Shipping times cannot be guaranteed. Please Note - At this time of year, we receive a large number of gift card orders. Please allow 5-7 business days for your gift card to arrive. The last day for delivery by December 22nd, by regular USPS is December 13th. Please Note: Gift cards are not valid for any online purchases. They are only valid at Timberline outlets. Gift cards cannot be used for the purchase of a Mt. Hood Fusion Pass. Should you need a different denomination credit than is shown on a single gift card, please create your amount using multiples of existing gift cards, and add a note if you wish to combine it to a single gift card. If you are unable to create the amount you desire using a combination of the listed values, please call us from Monday to Friday between 9am and 3pm, at 503-272-3189 and we'll be happy to customize one for you!